Gary Ward (Kinsale) and Paul McCarthy (Mallow) are both in the hunt after a rain delayed first round at the Irish Youths at Moyola Park. Ward finished on +1, five shots off the lead. 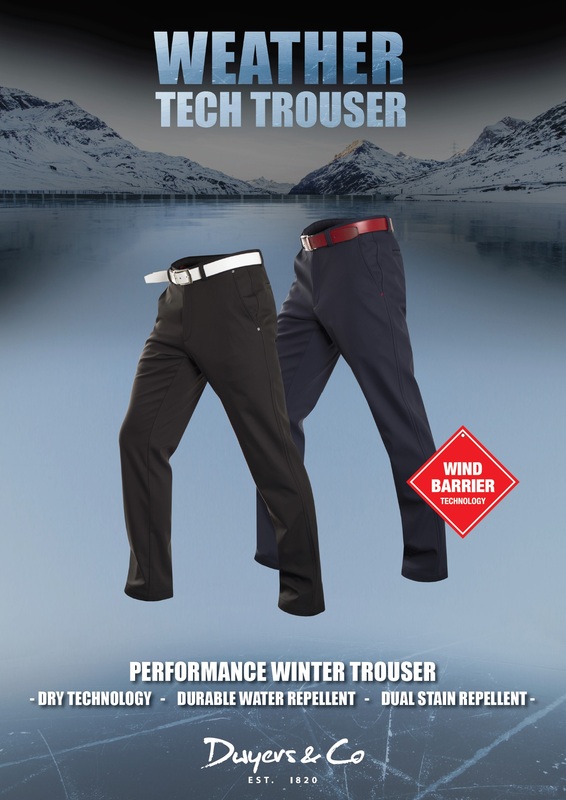 He opened well with birdies on the 4th & 5th but disaster struck on the 7th. He lost a ball which presumably plugged in the soft rough, and ended up with a triple bogey. He can back from that in level par however to give himself every chance in the second round. McCarthy also finished on +1 but he had a more straightforward front nine parring every hole. He also parred the 10th before dropping shots at the 11th & 13th. He birdied the final hole to sign for a one over par 72, and a share of 14th place. John Murphy (Kinsale) is in the top 30 after a two over par 73. Paul Tobin (Cork) and Timmy Broderick (Kinsale) carded 75’s and have a great chance of making the cut for the final round tomorrow. Mark Healy (Kinsale) is one shot adrift on 76. Cillian Moloney (Fota Island) and Cian Kidney (Lee Valley) are both just outside the top 100 and making the cut will require a much better round tomorrow. Sean Barry (Fota Island) faces Jeff Hopkins in the first matchplay round of the Irish Close at Tramore tomorrow morning. Barry who celebrated the birth of his daughter just over a week ago got back into the swing of things when he added a tidy 74 to yesterday’s 71 to finish the strokeplay in 15th place (tied 12th). Ian Spillane (Mallow) and Mark Shanahan (Castlemartyr) both finished in the top 30 posting a three over 147 total for the 36 holes. Spillane faces Jordan Hood tomorrow and Shanahan was drawn against Gavin Young. 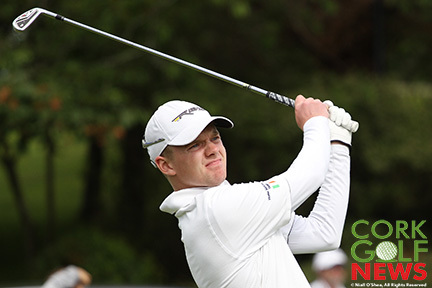 Muskerry’s Ronan Twomey was three shots back on +6 and he also comfortably made it through to the matchplay – he’ll face 2nd placed qualifier Thomas Mulligan tomorrow morning. Mallow’s Paul McCarthy was one of the unluckiest golfers in the competition, he finished tied for 59th place but on the countback he was 65th and missed the top 64 matchplay placings by one. Paul Tobin (Cork) added a second round 79 to his opening 75 to finish well outside the qualifying mark. 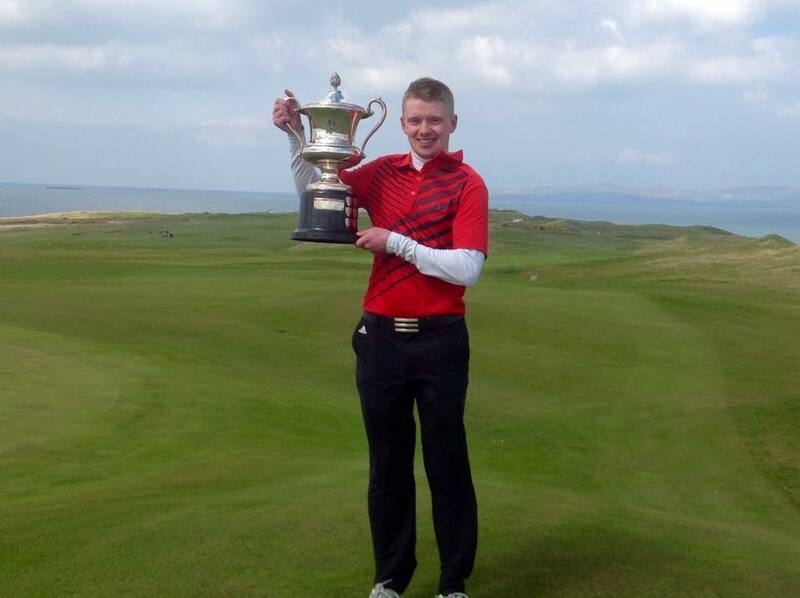 Cork’s Young Guns lost out in the second round of the South of Ireland Championship in Lahinch today. Challenging Opening Day at South of Ireland. Cork’s interest in the South of Ireland Championship could be dramatically reduced tomorrow after a tough day of scoring for much of the field. Mallow’s Paul McCarthy is the low Cork player, he shot a round of two over par for a share of 23rd place. Cork’s Gary O’Flaherty is the only other Cork player inside the matchplay cut mark of 64, he’s +4 in 53rd place. The CSS of 76 was a good indication of the difficulties faced by golfers on the famous Lahinch links during the opening day of play. Several golfers recorded scores in the mid and high 80’s with two scores in the 90’s returned. The second strokeplay round takes place tomorrow, with the top 64 going on to the matchplay stage. 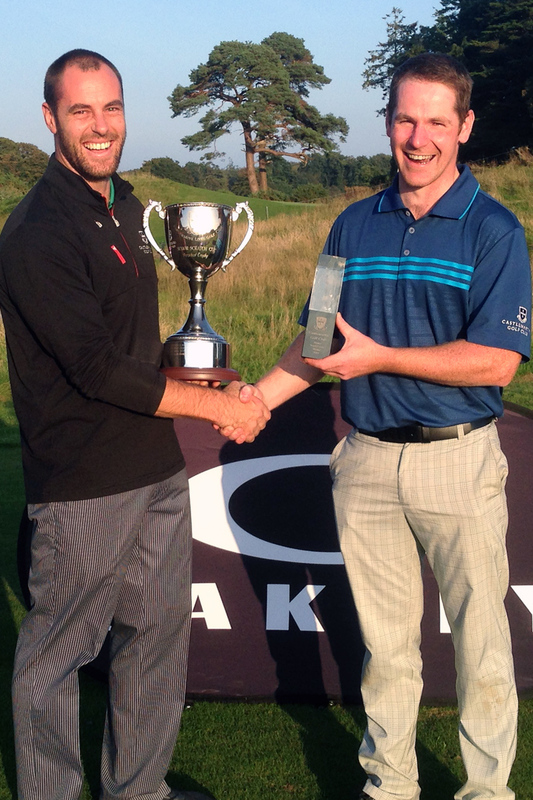 Mark Shanahan pictured after winning the Castlemartyr Senior Scratch Cup last September. 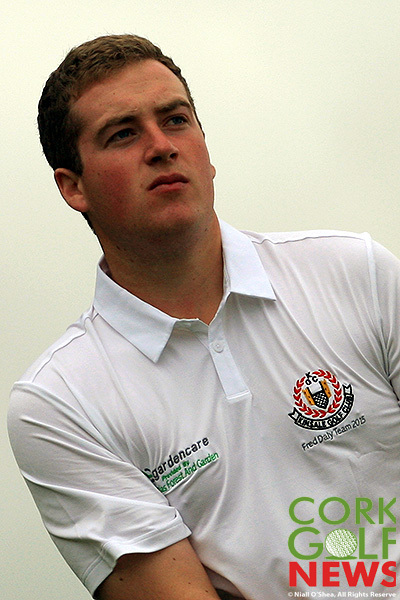 Castlemartyr’s Mark Shanahan finished tied 4th in the rain affected East of Ireland Championship. Shanahan was in touch of the lead after the first and second rounds and a final round 73 saw him finish 4th but seven shots behind the winner. The event took place in Baltry and while they got through Saturday and Sunday, only 18 of the 36 holes scheduled for Monday took place. The decision to cancel the final 18 holes marks the first occasion in the 75 year history that the title was awarded after 54 holes. Stuart Grehan (Tullamore) was the runaway leader from the very start with an opening 67 followed by a 68. Although he shot 76 in his final round he still had a five shot margin of victory over the field. Paul McCarthy made it two from two for Mallow Golf Club when he captured the Munster Youths Trophy today in Tralee Golf Club. He followed in the footsteps of his Fred Daly and Junior Foursomes team mate James Sugrue in capturing the prestigious title. The 20 year old was competing in the tournament for the final time and he was two shots behind Bray’s Alan Fahy an Dun Laoghaire’s Conor Ryan going in to the final round. A solid level par 70 was enough to move him clear of the field. It wasn’t plain sailing however on the testing links. McCarthy was three over after 10 but he added birdies at 12, 14 and 16 to rebuild his challenge and secure his winning total of 215 for the three rounds. 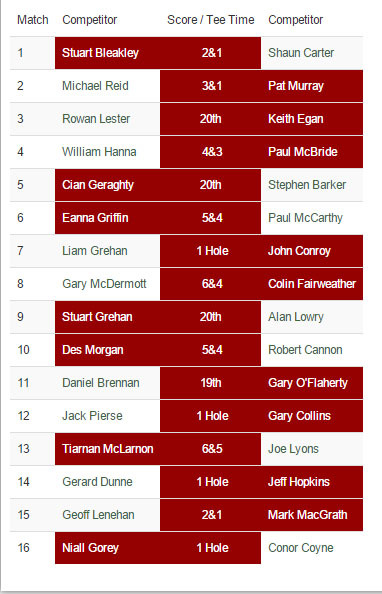 Kinsale golfers Cathal Butler and Gary Ward both finished on 225, just outside the top ten. Youghal’s Conor Coyne was just outside the top twenty.